I’m coming back from hiatus! Ish! I’m not gonna be around a lot, but I miss everyone too much to stay away. And SURPRISE, I moved from Tumblr to my old, abandoned WordPress. I imported my Tumblr-site and deleted the old stuff so, no, you guys don’t get to read my embarrassing older posts. Sorry? I did keep up with Bacon’s Adventures in Dreamland posts while I was on hiatus, so you can catch up on those (on this site, not the old one) if you like that brand of insanity. I did a super fun author interview right over here. 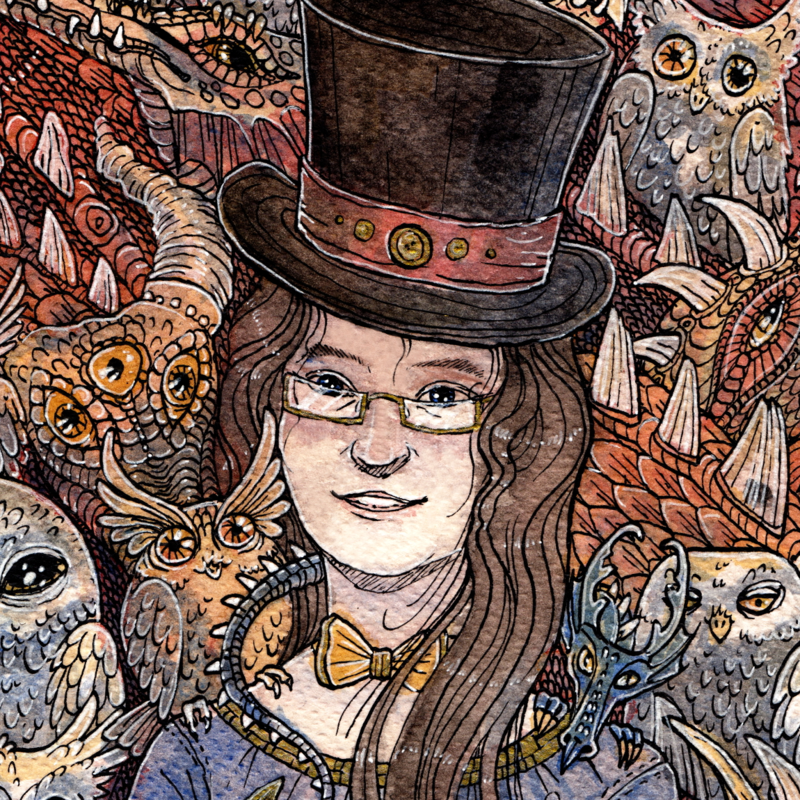 AND LOOK AT THE AMAZING AUTHOR PORTRAIT I COMMISSIONED TELARI FOR. You can obviously see it EVERYWHERE all over the site, but to see the full awesome version click that first link!